Eric Clapton in Montreal or Quebec City? Inform me about the next events for Eric Clapton. Enroll yourself to our priority waiting list for Eric Clapton to be alerted when new tickets are available. Filling this form doesn't engage you to any purchase. 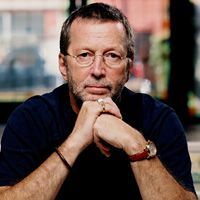 Eric Clapton, famous British singer, songwriter and guitarist, will be performing at the Bell Centre on February 22nd, 2010. Legendary blues guitarist Jeff Beck will share the stage with Eric Clapton for this special event. Jeff Beck and Eric Clapton shared the stage in Japan, in 2009, and the crowd response was enough to convince the two legends to plan a few shows together. Eric Clapton was last seen onstage in Montreal in May of 2008, after a ten-year absence.